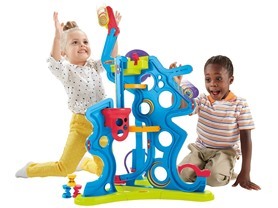 Today (8/2) only get this Fisher Price Spinnyos Giant Yo-ller Coaster for only $17.99 (Retail $49.99)! We have this and my son loves it. There are additions you can add on for cheap - many are clearanced out at Target. This makes it even better and more customizeable.